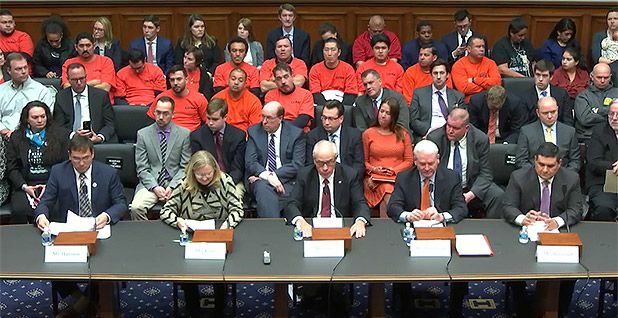 Today, flanked by members in orange, LIUNA General President Terry O'Sullivan testified before a hearing of a U.S. House Energy subcommittee in support of a more rational and predictable process for siting pipeline and other energy projects. O'Sullivan argued that argued that critical infrastructure projects not only create construction jobs, but also provide a foundation for a strong economy and a successful middle class. Read news coverage of the hearing here or the full statement below.